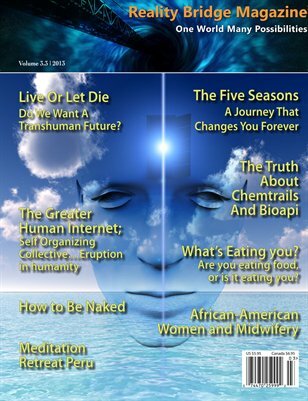 This issue covers up to date information on the chemtrail mystery and its connection with nanotechnology. Do we want a Transhuman future? This issue also covers the great human internet. How about a meditation retreat in Peru! There are great, cutting edge advertisers and books that we recommend. There is a rich content of information beyond the norm.